Obama proposes to save 12 billion barrels of oil and eliminated 6 billion metric tons of carbon dioxide pollution. Why Barack Obama is the Man for the Job. While Congress and the Senate go through its machinations to avert the Debt Ceiling Fiasco. Barack Obama continues to do his Job. Yes he is running for re-election and with all of the opposition the heat is certainly on. You may believe that this is just a the Administration’s desire to change the discussion from the Debt Ceiling however what I see is an effective President who understand that he must Multi-Task. He will not have to Exercise the War Powers Act to save the Economy. However, can Washington lead the world out of recession and unless quite careful a depression. So Barack Obama’s Campaign has forward this note to me as a supporter and I am sure it will be picked up by mainstream media. Most likely though not from a positive perspective. This President has had more to deal with because of the past mistakes of the past administration that anyone else may have already crumbled. This President found Bin Laden while multi-tasking and has done the same now for the Environment with this announcement. Where are the supporters of reality? President Obama while it’s becoming harder and harder to filter the truth from the BS. Thanks for doing something and handing the job of the Presidency as a Master Multi-tasker. We hope the programs work and that you will open your Administration to those of us with additional ideas to save billions in revenue and jobs. The energy Congress and the Senate is giving to cutting they should be spending to generate revenue. There are innovative ways to raise capital, create jobs and some of the greatest minds at Apple, Google, Facebook and yes even WCN has answers to connect the dots to save the global economy. Again, get a copy of my Anti-Piracy Proposal sent to Michael Blake. We can raise an additional 50 Billion dollars by implementing WCN’s ANTI-DIGITAL MEDIA FORMAT (APDMF) Utility. Keep your focus and continue doing your job some of us recognize the pressure and the performance and think you are handling it all quite well under the circumstances. However, the help you seek is right in front of you through technology advances and small businesses like WCN hoping to get the opportunity to serve. Now here is your campaign message wrapped in an appeal for a Global Transmedia Summit with the players mentioned. Anyone who cares about the environment and what we pay at the pump needs to hear this news. The details get a little complicated — I had to study up to write this thing — but bear with me, because this is important. This week, the President unveiled the next round of a program to make America‘s cars more efficient — the most important step our country’s taken to reduce our dependence on foreign oil, cut pollution, and bring down costs for drivers. Getting it done meant bringing together stakeholders — from auto workers and union representatives to manufacturers and environmental leaders — to offer their two cents and agree upon a program and set of standards. In light of what’s happening on Capitol Hill as I write this, it’s a welcome reminder of what can happen when folks put aside their differences and work together to do big things for our country. This announcement follows up on an aggressive plan that the administration put in place back in 2009, setting ambitious fuel-efficiency and greenhouse-gas standards for 2012-2016 model cars and trucks. That plan alone is estimated to save 1.8 billion barrels of oil — and save families up to $3,000 at the pump — over these vehicles’ lifetimes. And this new program, covering model years 2017-2025, takes real, tangible steps to raise the bar even higher, nearly doubling the current fuel efficiency of the average car. This is a big deal. Everyone from truck drivers to farmers to teachers to business owners feel the burden of transportation costs — and will feel the effects of these improvements. Because you’re someone who has let us know that you’re particularly interested in clean energy and environmental issues, we wanted to make sure you heard about this news. We’ve pulled the information you need about this plan into a graphic you can share with your friends and family. Check it out, and spread the word. Here’s what this program will mean in the short term: We’ll start seeing more electric and hybrid vehicles from manufacturers and more clean-diesel, efficient SUVs and sedans. Automakers will have new incentives to make smart, innovative cars and trucks — from the materials they choose down to the design of their engines and transmissions. They’ll be turning to start-up companies in the clean-energy sector and in advanced battery manufacturing, helping to create jobs across the country. — By model year 2025, the average American car or truck will get 54.5 miles a gallon (the average car currently gets 23.8 mpg). — We’ll have saved 12 billion barrels of oil and eliminated 6 billion metric tons of carbon dioxide pollution. — A family that purchases a new car in 2025 will save $8,200 in fuel costs, compared with what they’d pay for gas for a similar vehicle bought in 2010. — All told, American drivers will save nearly $2 trillion over the life of the program. This is something every American needs to hear about, so you should spread the word. 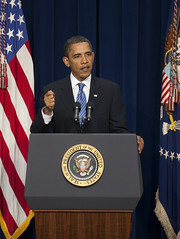 WCN Transmedia Group has received this communication from The President of The United States. We pass it along as we believe that Barack Obama deserves four more years. Is he a Perfect President, by no means, however anyone in that office might have crumbled under the weight of the Administrations problems old and new. I consider myself a independent and both parties have left me scratching my head on more than one occasion but none more than the present Debt Crisis. President George Bush raised the debt ceiling multiple times without as much as a peek but suddenly, an American President of African Descent has to be reduced to compromise only to be “Left at the Altar”. The clear disrespect that is prevalent in the media is also ludicrous. This is History and those of us who voted for Barack Obama, better understand the game and fast. The Republican values have their appeal for a capitalistic society until you weigh the cost of a bankrupted United States of America. Who wins if that happens. Even China has expressed its desire to have the Debt Ceiling raised. How about a bold approach to that discussion by Opening China’s Market truly to American Goods and Products. Who set up our Trade Policy and if we really believe that Small Business is the engine for job creation and growth…..shouldn’t we look at exporting Transmedia Revenue Share Opportunities on a global basis. You have written to me as part of your campaign, but not as yet as part of the solution needed to grow jobs in a Digital Converged Society. The redistribution of wealth scares people. Even your supporters. Creating New Revenue using Transmedia Brandcasting or the monetization of streaming video can provide a path for individual entrepreneurs and those motivated to work the opportunity to make recurring income from the Global Advertising Expenditures predicted to be 2.2 Trillion Dollars in 2011 by PWC Global Entertainment Group. The Entertainment and Software Industries have lost billions of Dollars in jobs and revenue. We have presented solutions to handle both Online and Physical Piracy of DVD‘s CD‘s, Software Discs, and Video Gaming Disks. We are prepared to prove our approach which if even remotely on point will create 100’s of thousands of new Jobs, while eliminating Piracy, and the enslavement of those street sales people who are selling DVD’s just to survive. We believe we can create a plan that would allow someone who is unemployed use their State Unemployment Computers to set up businesses for Transmedia Brandcasting and individual families for Transmedia Revenue Share Opportunities. Finally, Sir many of the answers to the problems America faces can be addressed with a strong relationship with Africa. 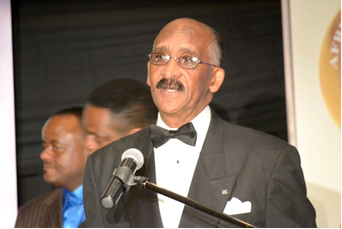 Last week the Africa Heritage announced the CIVIL RIGHTS TO PLATINUM RIGHTS Movement led by International Goodwill Ambassador Oscar J. Webb. We highly recommend that a summit be conveyed between The Africa Heritage Society and the White House leading to a initiative created by the United Nations Resolution 64/169 declaring 2011, THE INTERNATIONAL YEAR FOR PEOPLE OF AFRICAN DESCENT. We believe that the Free Enterprise System still works. Help us prove it Mr. President. Sign an Executive Order mandating the use of the ANTI-PIRACY DIGITAL MEDIA FORMAT (APDMF) for all DVD’s, CD’s, Software and Video Gaming Discs that carry the U.S. Federal Government Seal/Warnings. We look forward to comments and a response from The Administration. I’m the national training director at Obama for America. My job is to develop the programs and resources our staff and volunteers use to teach others how to grow this campaign in their communities. I’m writing because you or someone you know might want to be among a group of people who will play the leading role in our grassroots strategy this fall. They’re called our fall fellows. By now you’ve probably heard of our summer organizers program, through which more than 1,500 full-time volunteer organizers have stepped up as the next generation of leaders in this movement. These folks have been the focus and the heart of our movement all summer, and though each and every one of them will remain a part of this organization, their time as Summer Organizers ends next month. The job of fall fellows is to pick their work up and carry it forward into the months to come. Our fall fellows are going to engage new volunteers on front porches and over the phones. They’ll register new voters and develop relationships with other organizers and supporters on campuses and in communities. The people selected will be on the front lines of the most important work we do as a campaign: bringing people together at the local level. Organizing is tough work. I started out as an organizing intern in Iowa in 2007, and I can tell you firsthand that the hours can be long, often extending late into the evening and over the weekend. But this will be one of the most rewarding and inspiring things you’ll ever do. It’s through organizing that I’ve met some of my closest friends and learned the skills I use in my job every day. So even if you’re not in a position to join us part- or full-time in the months to come, I really hope you’ll forward this message to someone you know who might be. This kind of organizing isn’t just how we plan to win this election. It’s a reflection of the kind of politics that we believe in — the kind the President himself practiced as a young organizer working with communities devastated by factory closings in Chicago. No experience is required — you might be a veteran organizer or a first-time volunteer. And if you happen to be a college student, you can work with your school to earn credit through this program. Bottom line: No matter how old you are or where you come from, it’s not too often you get a chance to do something like this. Obama A Love Story: Yes We Can! Support 4 More Years!! Obama A Love Story, Music Clay Aiken Something About Us. Yes We Can! Support 4 More Years – Jay O’Conner Chairmand & CEO WCNTV. Moved by his leadership and poise this pictorial instils incredible insights into the true strength of a nation. Our First Lady, Michele Obama, his rock provides the stability and courage that is the measure of the man, President Barack Obama. African American’s don’t bail out on this Presidency just yet. Go pull out your albums of pictures of your families and see if you see any similarities. As I watched it I could not help but to think about my grandparents and my great grandparents who wish they were here to vote and see this day when the First Family looked like us. Are we are Perfect Country, No, can we expect a Perfect President in just 2 and half years and has a long list of accomplishments as long as President Theodore Roosevelt. Let’s not forget he inherited a mess from the Bushes which may take years to unravel the truth. While I may not have gotten all I have wanted from the Administration if the election were held today, I would support the Re-Election of the First Family. I have learned more about being a father, a husband, and someone who is cool calm and collected while at the same time working on the nation’s problems with 30% of the country against anything the President attempts to accomplish. Yes Tavis is right we have to hold the President responsible for what he does or does not do for black people. But where are the ideas from Black people for Black people? When the CBC met with President Obama what was asked for? The President showed up to the National Action Network Meeting where Rev Al Sharpton called for an Action Plan. Anyone seen a Action Plan. Now perhaps it’s in formulation and is coming soon. In the meantime, we cannot expect the President to set the Agenda, Catch the bad guys, balance the budget, fix education, immigration, global warming, deal with the Republican opposition and Fox News while being a father, a husband and the leader of the free will. Bill Maher got it right. 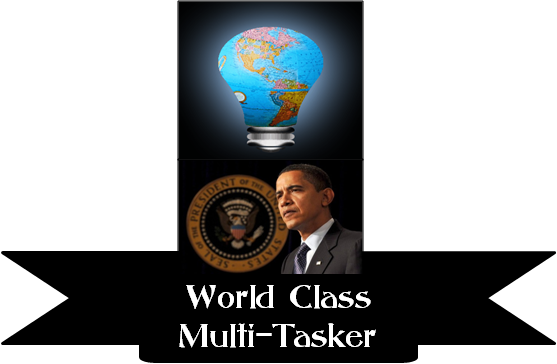 See his funny clip about the Presidents Multi-Tasking Ability.